Gina: One of my daughters had tonsils that were really puffy and swollen and they looked really bad. A couple of hours later, I got out my flashlight and looked at the back of her throat and like, the white patches are gone! The tonsils are about half the size they were before. Kate: You are listening to Podcast Number 42 at joettecalabrese.com. 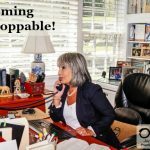 Joette: Each day from my office, I get to see how homeopathy is transforming lives all over the globe and I want to share them with you. Some of my students have really caught my eye. Some of you have done all you can to learn how to cure those around you using homeopathic medicines. Your successes inspire me. They’re glorious and powerful. I can’t keep these successes a secret any longer. 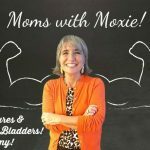 So, with help from my roving reporters, we bring you a mini-podcast series that I call “Moms with Moxie.” Sometimes we even interview “Dads with Audacity.” See how regular mothers and others, average people who want to cure those around them have gone from freaking to fabulous with homeopathy. Kate: Today, I’m here with someone that many of you already know and may have actually communicated with on Joette’s Facebook page. My friend, Gina Conrad, joins us today from her home in Iowa. Gina has such a sweet and giving heart. She is so generous with her time and her knowledge of homeopathy. Gina, I want to welcome you to the podcast. I’m excited to be here with you today and to have a conversation with you. Gina: Thanks a lot, Kate. I’m happy to be here. Kate: Gina, tell us a little bit about yourself and what your background is and maybe a little bit about your family. Help us to get to know you a little. Gina: Sure. I was born and raised in Iowa. I have four children. I’m a homeschooling mom. I actually went into homeschooling kicking and screaming. I didn’t think it was a good idea. And, here I am in my 13th year of homeschooling. So yes, and I’m still learning as we go through it. My reasons for starting homeschooling have changed. I think everybody homeschools for different reasons. I went into it thinking, “Oh, we’ll just do this for one year then put the kids back in school.” It didn’t turn out that way. It’s actually been a very good experience. I keep learning. Every year, I learn something new. Kate: We are always learning, aren’t we? Especially when it comes to homeopathy. So, you are a nurse. You consider yourself forever a student, right, a researcher, a student? You love to research and to help other people. When they write about a condition that they have, you love to look it up and to share what you learned with other people. Gina, that’s what I appreciate about you. You are just always so willing to give of your time. Gina: I actually went into nursing because I was curious about health and how to maintain health. Once I got into working as a nurse, I realized that the medicine wasn’t always bringing people to health. I actually found that the fewer medicines people took, the healthier they were. I thought that was really odd because I always thought the way to get to health was to go to the doctor and take the medicines they always told you to take. I guess my experience with medicine evolved over time because I would see people take the medicines. Oftentimes, they would get very sick from them. Sometimes they got very much better. I mean, there is absolutely a time and a place for medicine. I’m thankful that we have the hospitals and the doctors that we do. I guess I see a blending between the two worlds, between the medicines and the hospital and the things we can do with homeopathy. Kate: Tell me Gina about when you found Joette and sort of your journey into using homeopathy. Gina: I originally heard about Joette through the Wise Traditions newsletter. In 2003, my son had his 15-month shots and he became very ill after that. He had chronic diarrhea. He had eczema from head to toe. He lost almost nine pounds between 15 months and two years. Kate: Wow, that’s a lot. Gina: It was a lot. It was really hard to parent him because he would lay on the floor and spin and scream. I took him to five different doctors to try and figure out what the heck had happened. I’m like, “This is not the kid that I had a few months ago.” He was suddenly allergic to so many foods. He couldn’t eat corn, or dairy, or soy, or nuts, or wheat. Joette actually showed me that you can solve some of these chronic issues on your own at home, and then when to give the remedies. That was something I didn’t quite understand. Because with the traditional, constitutional remedy, they would give it to you, and then you’d wait several months and take the remedy again, if it was necessary. But, I learned from Joette that you can take the remedy when you need it and when to read the signs to re-give the remedy. Kate: So, actually, did you consult with Joette first or did you take a class first? Gina: I consulted with Joette first. My son had a cyst, a ganglion cyst on his wrist. He had asthma and several food allergies. We had seen a physician locally. After several years of not getting anywhere with traditional medicine, we had done a program similar to NAET, which was an allergy elimination program. That seemed to help her a while, but after a couple of years, some of those allergies crept back. Joette was able to help me with homeopathy. We’re to the point now … we were on GAPS for about eight years with many, many foods. There were 56 foods that we had to avoid for a long time. Gina: I know. That’s a lot. It was really horrible: corn, soy, dairy, all nuts, anything green, beans, legumes, all legumes and beans and I don’t know, pulses. It was a long list. But, we’re to the point now where we can eat anything. We can go into any restaurant and he can order anything off the menu and not have an asthma attack. Before, if he had an egg, we often end up in the ER with an asthma attack. I learned how to treat the asthma at home. I kept an inhaler for a long time, just in case the homeopathy didn’t work. But, I haven’t had to use it. Actually, it expired, and I have not renewed the inhaler. We just haven’t needed it. He’s had I think one episode of wheezing last summer when the fireworks were going off and the air quality was really poor. He got a little bit wheezy, and I gave him a homeopathic remedy and it worked really well. Kate: That changes your life, didn’t it Gina? Gina: It did. My daughter has a friend who unfortunately passed away this past summer from an asthma attack. I guess I didn’t realize that you could actually die from an asthma attack. As a mom, to be able to know that you can treat your kid and teach them how to treat themselves in the future — so that, hopefully, they can pass that message along and pay forward and say, “Hey, you don’t have to take these medicines that can be really harmful for you.” Which, for us, the inhaler would cause his heart to race. It was just really scary. So, the homeopathy has been such the game changer for us. Kate: Oh, yes. We’ve been there, Gina, the same exact place. It’s terribly frightening to watch your child struggle to breathe and have those allergic reactions. Yes, I have been right there. Joette has helped us so much with that same thing with my daughter. So, I know it gives you freedom, right? I think freedom is a word. You feel empowered. You’re not afraid to go out, and you’re not afraid anymore if he has a reaction because you know what to do. You have the remedies. You carry them with you, right? You carry them always with you? Gina: I do. I carry this smaller, half dram size in my purse — for myself. I also have had an allergic reaction. I went to the allergist, and they couldn’t really pinpoint exactly what I was allergic to. So, I found that if I eat pine nuts, my throat will get really tight and it hurts to swallow. My tongue gets really heavy. I get really angry. I get irritable and I start yelling at my kids which is unusual. They’re like, “Mom, are you having an allergic reaction?” I’m like, “I think so!” I just felt really irritable and angry. My heart starts racing. There are two remedies that I carry with me just in case of an allergic reaction for myself. My kids, the asthma stuff, I carry that with us. We just haven’t had to use it. But, for myself, I carry … I learned about in the Survivalist course that Joette put together. So, the two remedies I carry for myself are Apis 200 and a 1M (if the 200 isn’t strong enough, then I will use the 1M). I also carry Carbolicum acidum in a 6C. That, I learned about in the Survivalist course. I think the keynote for the Carbolicum acidum, for me, is “almost impossible to swallow.” So, when I have throat symptoms that matched that — that it’s really, really painful to swallow and I can’t hardly swallow at all — then I’ll take the Carbolicum acidum. But, most of the time Apis takes care of an allergic reaction for me. Kate: That’s beautiful! Gorgeous to know that you can have the power to help yourself and you don’t have to resort to rushing to the ER. Gina: Well, I found when I had an allergic reaction, my doctor was not able to tell me this is what you’re allergic to. He told me you’re going to need to monitor what you’re eating. If you have an allergic reaction, take Benadryl. He didn’t think that my allergy was enough to prescribe an EpiPen. So, he told me to just take Benadryl and Zyrtec together. But I found that when the Benadryl wore off, my symptoms returned. My throat would still swell. My tongue would get very thick and heavy, and it was hard to talk. So, I would take another dose of Benadryl. For like a week —sometimes two weeks, it depended on how severe the reaction was — but it could be up to two weeks that I would have the throat pain and the heaviness of the tongue. When I did go to the doctor and I went to the allergist, they said, “There’s really nothing else we can do for you. You’re just going to have to work through this. Always carry Benadryl with you at all times, in case you have an allergic reaction.” But, once I started using the homeopathy, I found that if my throat got really sore and it hurt to swallow or my tongue got really heavy, and thick, and it was hard to talk, and I got really angry and my heart would race — if I took the Apis, within a couple of minutes that swelling and the soreness was gone. I would say down by 50%. If it started to come back, I would take another dose of the Apis, and maybe five minutes later when it returned again, I would take another dose of the Apis. Within 10 minutes or so, I felt so much better. I could swallow. I could talk. Those symptoms did not return. I think I’ve pinpointed it to certain foods. Sometimes it’s like a mango that comes from South America. I suspect maybe they spray it with different pesticides than we do in the US. It might be like a pesticide exposure that seems to cause this reaction. I pinpointed it to this. It was erythritol, the sweetener that they used in this “healthy” alternative-water-drink that was in the grocery store. I pulled out my Apis. I took a dose. Three minutes later, I needed another dose. But, within 10 minutes, I felt back to normal again. My throat was no longer sore, and it didn’t hurt to swallow. Have you ever had an allergic reaction like that, Kate, where your tongue gets really thick and heavy? It’s really hard to talk. Gina: I wonder in little kids, if they would be able to express those feelings if they were having an allergic reaction. I think I’m to the point where I can realize that really quickly and do something about it. Kate: Well, how would you know? If there’s a young child and they can’t … they don’t know what’s going on. They’re probably just really irritable. When we see kids that are acting up emotionally, that maybe there are allergies or things that are wrong physically, but they don’t know that that’s what’s causing the irritability. Kate: We got to know each other a couple of years ago, right? We were in a Gateway class together. I’m so glad that you joined my first Gateway class! It was a couple of years ago. So, we’ve been friends since that time. I feel like we’ve been through a lot together health-wise, with homeopathy, through these last couple of years. There are so many stories I know that you have that you could share with us. So, Gina, you were telling me that you were cleaning out a closet and you came across a sling. You thought, “Whoa! I just remembered that I don’t need my sling anymore!” So, tell me about that. So, I’ve dealt with this for 30 some years. I really didn’t have much hope. But, I always kept a sling in my car, and I kept a sling in my drawer. I kept a sling in my closet because if I was having a really bad day, I would pull the sling out and just rest my shoulder. I was cleaning my closet and I found this sling, and I thought, “When was the last time I used this? Oh my gosh! This was before I used the cells salts.” I think it was Calc fluor 12X and Calc phos 3X. I think that was the combination that helps strengthen the ligaments. I just saw that sling today. I’m like, “Oh my gosh! I am so excited. I don’t need this anymore. I’m going to pack it away.” So yes, that’s homeopathy and cell salts. Kate: Yay! That made you a believer in cells salts, didn’t it? Gina: Yes, absolutely. The gout, oh my goodness. So, I knew what gout was … my neighbor had gout years ago. I’m always curious about these things like, “Oh, you have gout. I’m going to go home and look it up in my medical dictionary and find out about it. Because if you have it, there’s a chance that someone else in my life someday will have it.” So, I kind of knew what gout was. I knew it affected usually the great toe or the joint next to the great toe. I was out choring this last spring. I came into the house and one step was normal and the next step was so excruciatingly painful, I could not breathe. I pulled my boot off. I thought, “Well, maybe I stepped on a spider or I was bitten or something.” The joints on my left foot was red and swollen and sore. I could hardly step. I thought this is crazy. So, I used homeopathy to resolve that. Again, in the Survivalist course, Joette talks about Nat phos, and I decided to try that. I think I used that 30C potency once a day. Within a couple of weeks, it seemed to resolve. Kate: Gout is really painful, too, from what I’ve heard other people talk about. Kate: Yes, yay for homeopathy. Kate: One of the stories that I love that you talk about, you talk about your daughter and how you like to use a remedy with her. I love to listen to it. So, can you share with us about your 12-year-old daughter? Gina: Oh, my gosh. She’s so sweet. She’ll come into the kitchen just crying a sea of tears, tears flowing down her cheeks. I’ll ask, “What’s wrong?” Oh, I don’t know. Somebody looked at me wrong or my brother looked at me wrong. I can’t find my sock or something. I’ll say, “Okay, do you think maybe we should use some Pulsatilla today?” She’s like, “Yes.” I’d give her a dose of Pulsatilla 200 and within minutes, it’s like magic. I don’t know. Her disposition changes, the tears stop. She’s joyful. She’s singing, and twirling and dancing again. It blows my mind that one remedy can make such a huge difference in her disposition and behavior. It also helps with food allergies. I didn’t know that. It helps with dairy and fat, and just the way her body uses that. I just find that absolutely amazing. I would not have known about that had I not followed Joette’s blog and read her emails. I love her emails. They are so helpful. I look forward to them when they come out. Kate: Yes. There is so much information in her emails and her blogs. The podcasts, listen to those. If you can’t afford to take a course, you can learn so much just by reading the blogs and the podcasts. I just was talking to a friend today, and she did not know about that free resource page. 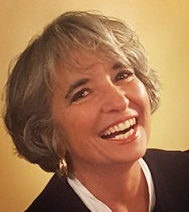 If you go on Joette’s web page, joettecalabrese.com, you can click on the free resources tab and scroll down to where it says Free Community. In Free Community, you enter your name and a password, and then you have access to a ton of research and information. So, if you haven’t already done that, I just want to urge everyone to check that great resource out. So, Gina, you probably don’t this — or maybe you do — but I talked about you in one of the podcasts that I did with Joette. I said, “My friend, Gina, she gets up in the morning and she just likes to read through her materia medica or repertory and just learn new remedies.” I feel like you are really good with homeopathy. Can you give us any tips about how you like to study and learn more about each remedy? Gina: One of the resources I love is our Students of Joette group on Facebook. That’s one of the places I check throughout the day because people ask really great questions. They also share their stories and remedies that work really well for them. One gal, she had woken up and had some significant swelling around her eyes. I loved her story of how homeopathy healed her. She had been trying to figure it out on her own. She finally went to a homeopath. The homeopath had recommended Phytolacca. This was a remedy I wasn’t familiar with. So, I got out my materia medica, and I’m reading through there. It talked a lot about glandular swellings, and the tonsils being swollen and sore, and also the lymph nodes in your throat or along your neckline. The lymph nodes, it helped drain that glandular tissue. I thought that’s really interesting. I need to remember that remedy. Kate: My new best friend, Phytolacca. Gina: My new best friend. I think it’s important to read those remedies and learn just some of the short keynotes about that remedy, but also learn how could you use it in your own life. So, one of my daughters had tonsils that were really puffy and swollen. She had white patches on her tonsils. They looked really bad. I thought, “You know what, Phytolacca! I’m going to try that.” So, I gave her a dose of Phytolacca 200 and that was all she needed. A couple of hours later, she’d forgotten that her throat hurt. She’d forgotten that her tonsils were swollen. I got out my flashlight and looked at the back of her throat and like the white patches are gone. The tonsils are about half the size they were before. I’m like, “Okay. I’m not even going to do anything. I’m just going to let her immune system take over.” That’s all it needed was one dose of Phytolacca. I love our group because we share information. It doesn’t matter if it’s day or night, because there’s somebody all over the world. There are students in the Philippines, and Australia, and Central America, and Canada, and United States, and Europe, and Finland. We all join together. You know within a couple of minutes, somebody else is going to read that. If they don’t have the answer, maybe they’ll have a resource or a link for you. I love that support in our community. Kate: I know. I do, too. I think it is so valuable to have a community that you can share and support one another. I can’t say enough about it. I’m so thankful that Joette has that resource. Gina: Also, you had an experience earlier this fall. I remember somebody in your student group posted, “Hey, what would you do if somebody fell and dropped a glass jar and cut themselves? It’s a pretty deep cut.” You’d cut your wrist and your hand. What did you cut? You cut your hand and your arm, right? Kate: I tripped on a forklift, okay Gina? How do you trip on a forklift? I don’t know. It’s a forklift. Yes, I fell on broken glass. Gina: I like that in the support group, one of your friends — local friends — had typed in and said, “Hey, Kate fell. I’m not sure what to do neither of us are thinking clearly. We need help.” Immediately, we had support from our group. This is what you should do. I pulled out my Survivalist Guide. I’m like “Okay, this is what I would do, ding, ding, ding, ding.” That’s what we need in an acute situation. We need somebody who can think clearly and help us out, and that’s why I love the Facebook groups. I find so much support there. Kate: Like you said, someone’s always available, willing to help out. So, yes, it’s a great resource. That is available to anyone who has taken one of Joette’s courses. So, if you aren’t a member of the Students of Joette Facebook group, you can request to join that group. Joette has another Facebook page and that is Joette’s Study Group, Find Your New Study Group Friends. That one is for people who want to connect with other people who are doing the Gateway to Homeopathy curriculum. You can go on there and say you’re looking for a Gateway group or you want to start a Gateway group — a study group — and connect with people that way. Gina: That’s how I found your study group is through that find your study group friends. I just want to share what I’ve learned about migraines, because I know not everyone suffers from migraines. But, my first migraine that I remember, I was four years old. I was lying under our coffee table in the living room with both of my hands over my head crying and crying because the pain in my head was so intense. I found a neurologist for my migraines. I had taken prescription medication for many years. I found that some foods were triggers and assuming there were some allergy issues there as well. But, I didn’t know how to get over those migraines. As I got older, my migraines were worse and worse. It got to the point where I was taking Tylenol and ibuprofen back-to-back to try and manage that, along with prescription migraine medications. In the Allergic?! class that Joette taught, there’s a beautiful list of migraine remedies. When I took that class, I don’t think I appreciated how awesome that list was. I figured out how to manage my migraines completely with homeopathy. I didn’t have just one type of migraine. I’ve had several types of migraines. So, the type of migraine that I suffered when I was little I believe was a Sanguinaria migraine or massive headache. It was about two years ago. I was lying on the couch. I had been on the couch for about 10 hours. I had tried a long list of remedies. Nothing was working. Finally, I tried a dose of Sanguinaria 30. Within about 5 minutes, I could feel the pressure just release from my sinuses and from my head. I thought, “Wow, really?” So, I took another dose and then within 10 minutes, after being on the couch for all day — from 7:00 in the morning until about 4:30 in the afternoon — I took two doses of the Sanguinaria. Then I was out in the kitchen, and I was able to make dinner. I could breathe again. I could think again. It was so awesome to be able to overcome a migraine like that. Sanguinaria is one of those remedies that I carry with me at all times because I know if I get that type of a headache, it is fast and furious and horrible. Sanguinaria will take it away from me. Kate: I think headaches can be hard. There are so many different types of headaches like you said and so many different remedy possibilities. But yes, when you get that right one, it is amazing. Gina: Another one that I really, really love that I also carry with me is Natrum muriaticum. I have a little sheet of paper that I carry with me in case my brain goes missing. Because when you have a migraine, sometimes it’s really hard to think straight. But Natrum muriaticum, one of the keynotes for that is tiny hammers. I have migraine attacks during menses with tiny hammers. I could feel like my hair; the crown of my hair just hurts. It feels like I have tiny hammers pounding all over my head. Again, it’s a different type of migraine. I get it in a different time of my cycle. It’s usually within a couple of days before I would normally get my menstrual cycle. So, I love the homeopathy. But, you do have to play with it a little bit and figure out which ones are going to work for you. Sometimes I don’t know. Sometimes, I’ll try four doses of one remedy. If I get no relief at all then I’m going to the next remedy. But I’m to the point now, it’s probably been two or three months since I had a migraine. The last one I had was nowhere near as bad as the ones I’ve had previously. So, they’re not coming as frequently. They’re not as severe. They don’t last as long when they come. So, instead of having a migraine that would keep me down for two or three days, I have a migraine that keeps me down for ten minutes. Kate: That’s great. We could sit here and talk for hours, I think, about all of our homeopathy success stories and how much we love it and our favorite remedies. We do often, right Gina? We talk for a long time. Gina: We do. That’s another thing. 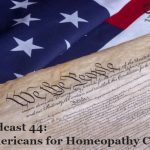 The greatest benefit that Joette has provided is to have people who are just as curious and just as committed to learning more about homeopathy as I have been. We learn and we grow together. Oftentimes in our group, I’ll read a post. Someone will say, “Oh my gosh! I found the greatest remedy.” They’ll share that information. Their story is something I can carry with me. I can teach to my children in our homeschool because I want them to know these remedies are amazing. I want them to know, so that they can be empowered to heal themselves and my grandchildren — hopefully, someday I’ll have grandchildren. Kate: Gina, it’s been so fun hanging out with you and talking about homeopathy and hearing your stories. So, thanks for taking the time to be with us today. We’ll look forward to your posts on the Facebook page. Gina: Thanks so much, Kate. 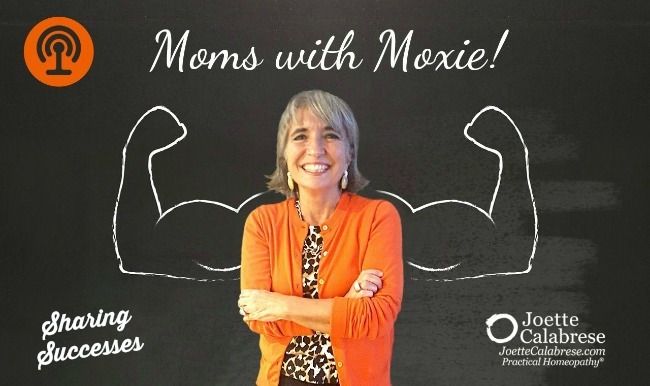 Podcast 46 – Moms with Moxie: Punctures & Toenails & Bladders, Oh My! I long to get well and join this group. I love to learn (when well especially) and to help others. I was told today (been 2 rough days) that homeopathy will not work if on any medications. I need to wean off everything first. This would take years possibly in the best of health. Yesterday it was a miasm block or something like that. Such hopelessness I have never experienced. But then an email with this link comes in. You ladies make it sound so easy. I too have migraines. How delightful when these remedies work. So much to learn. I know you have told people that the right remedy will make medicine unnecessary, Joette. I don’t know what to do but if I could choose, I would get back my mental health and then join this group. I assume you have to take a class to be a member? I’m not up to that at this time. But it sounds awesome. I would probably ask too !many questions but I would share what I learn, too. What a fun and informative read! I have benefited from both you ladies, Kate and Gina. I so appreciate your willingness to share your experiences and successes with using homeopathy. Thank you both! And thank you Joette for providing so much information on your blog and in your classes. It is empowering to be able to help loved ones overcome illness and to see their health improve through the gentle power of homeopathy. Enjoyed the conversation. Very informative. Thank you ladies! Thank you Joette for doing such a great service through homeopathy! Regards! This was such a great podcast. I had to get Joette’s MM out and add the many ‘nuggets’ you shared. Thanks! I’m really interested in the bit on dislocations. My left hip has been dodgy since having children due to PGP/SPD. Would these cell salts help that? What’s the frequency? Thanks ? What are the protocols for dislocations pls? It has dosage but not frequency. Why bother with the lower potency Apps when you always carry the 1M potency anyway? My sister was allergic to oatmeal. She described it as cobwebs in her throat. We assumed it was the natural sliminess of the oatmeal. I just thought other children might use a similar description that might resemble the consistency of what they are eating. 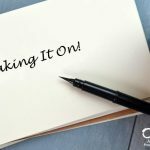 What did Joette use to treat a ganglion cyst? Thank you! Was the ganglion cyst resolved? I ahve a big one in my wrist and would love to know the remedy. THank you Joette for all that you do!